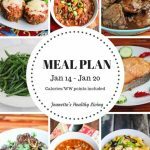 This post contains Meal Planning Tips for busy families who want to prepare healthy and delicious meals for their family. As a mom of four boys, I’ve made thousands of meals and learned to cook more efficiently over the past 20+ years. I’m sharing some of my time-saving tips that I hope will help reduce stress and make it easier to get dinner on the table. Sponsored by Peapod. Like many parents, I’ve spent hours each day chauffeuring the kids to all their after-school activities, leaving very little time to cook at the end of the day. And of course, there’s the dinner crunch that happens as soon as the kids get home from their activities. They are starving and want to eat as soon as they walk in the door. So, I’ve put together some meal planning tips that I hope will reduce the stress and help you get dinner on the table faster and more efficiently. Taking half an hour a week to plan your family’s meals can save you hours during the week. You will only have to shop once during the week, and the meals you prepare will match your schedule. Making dinner will be so much less stressful since you’ll have a plan to follow. 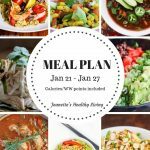 I created a weekly meal plan for Peapod as families try to get back into a routine for the school year. You can download it here. Make a meal plan for the week based on your family’s scheduled activities. There will be days when you have more time to cook, and other days when you have almost no time. Even if you don’t follow the meal plan exactly, having an idea of what you want to make will take a load off your plate the rest of the week. Order your groceries online and have them delivered to your home. Once you have your weekly meal plan, come up with a shopping list for the week. I’ve saved about 2 hours a week in driving and shopping time by ordering groceries online using Peapod’s online grocery delivery service. Peapod offers all your grocery needs, including their private label Nature’s Promise Free From products. Nature’s Promise Free From products include produce, meats, and other food products, which are free from artificial ingredients, including artificial colors, flavors and preservatives. Make a double batch of recipes that freeze well. Roast two chickens and freeze one (save the bones for chicken broth). Chili, Bolognese Sauce, and meatloaf freeze well, and are easy to make in a double batch. Repurpose leftovers. Turn leftovers into a “new” meal by transforming them into a different meal, e.g., use leftover roast chicken to make chicken quesadillas, Chicken Burrito Salad Bowl, Buffalo Chicken Salad sandwiches, Chicken Chili, or make fried rice with leftover meats and vegetables. Prepping parts of recipes ahead of time and taking a few shortcuts will help you get dinner on the table faster. 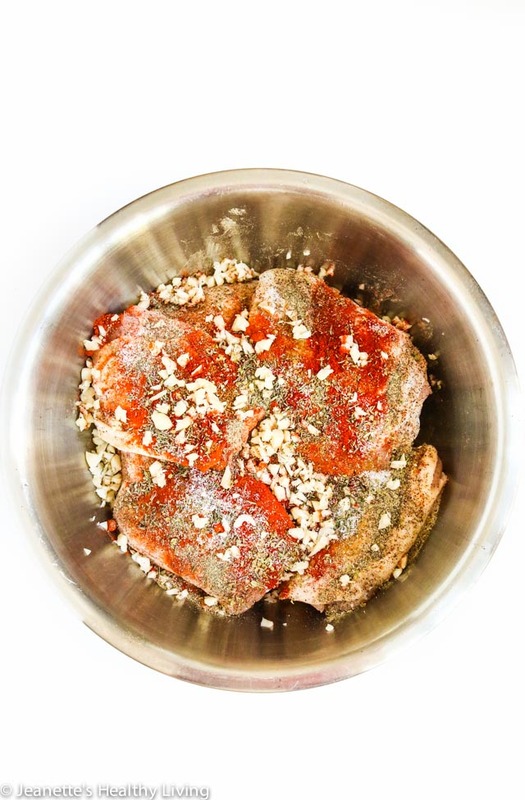 Marinate meats the night before for quick and tasty baked or grilled dinners. Try this Baked Peruvian Spiced Chicken or Grilled Asian Flank Steak, for example. Make a batch of Stir-Fry Sauce, prep vegetables and marinate meats the night before for quick stir-fry dinners. Use a food processor to chop vegetables. Carrots, celery, onion, garlic, mushrooms and bell peppers can all be chopped in a food processor to save time. The trick is to pulse them until the desired size is achieved. You can chop multiple vegetables in the food processor by pulsing the hardest vegetables first until they’re chopped, then adding the more watery vegetables like onions and bell pepper and pulsing them. This works great for chili, bolognese sauce and soups when you want smaller pieces of vegetables for the recipe. Start dinner in the morning using your slow cooker. The slow cooker has been my best friend on many days when I know I’ll be out of the house the entire day. I’ve got lots of slow cooker recipes on my blog. Getting dinner on the table quickly can be a challenge when you have a hungry family. Here are some additional tips that have helped me feed my family almost as soon as they walk int he door. Turn on the oven or put a pot of water on the stove to boil as soon as you walk in the door. This is a big time saver if you are baking/roasting something for dinner, or if you’re making pasta for dinner. While the oven is heating up or the water is waiting to boil, you can get the vegetables/side dishes ready. Make rice or grains in a rice cooker and keep it on the warm setting. A rice cooker is the perfect companion to a slow cooker because it keeps rice/grains warm for several hours (my rice cooker is supposed to keep rice warm for up to 12 hours), so it’s ready to serve when you get back home from after-school activities. 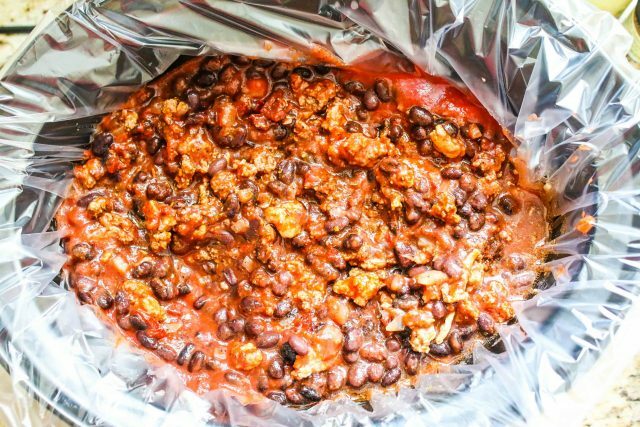 Keep food warm in a slow cooker. Even if you cook something on the stovetop earlier in the day, you can transfer it to a slow cooker so that dinner is warm when you get back home from all the after-school activities. Pressure cookers are big time savers. On days when I get a late start on dinner, the pressure cooker cuts cooking time to about 1/3 of the time it normally would take. Almost anything you make on the stove or a slow cooker can be made in a pressure cooker. I don’t have an Instant Pot, but it’s supposed to have a pressure cooker setting. Give this Pressure Cooker Lentil Chili a try. Frozen vegetables work in a pinch. Frozen vegetables actually retain more nutrients than old vegetables. Frozen peas, edamame and corn work well. Serve raw vegetables. A simple salad or raw carrot sticks, celery sticks, cucumber spears and bell pepper slices are great vegetables that don’t require any cooking. Although my kids like Roasted Kale and Roasted Cauliflower, if I’m short on time, I’ll just chop up some romaine lettuce and top with shredded carrots or cherry tomatoes for a simple salad, or cut up some raw vegetables and call it a day. I hope you find these meal planning tips helpful. Please feel free to share your own meal planning tips in the comments section.